We host a range of workshops and have on-farm lodging to accomadate guests. People work hard, and when they decide to leave the office behind, as much as they can with technology today, they want to make the most of their time away. “Unplugging” is rare in today’s world, but is needed more than ever. 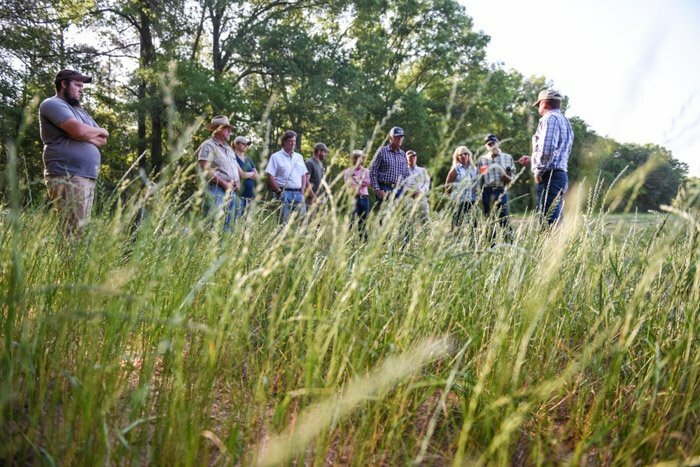 We believe that White Oak Pastures is a place that will not only take you back to a simpler time, but also advance you into a new understanding of the future of deindustrialized agricultural farming, as well. We offer guests the unique experience to meet the passionate, thoughtful farmers who raise their food. 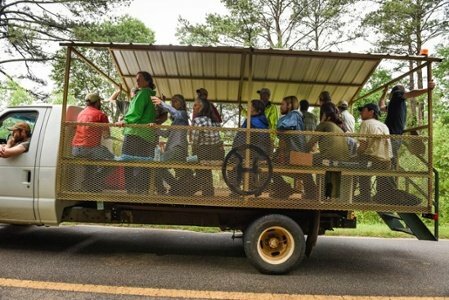 Although there are no traffic lights in Bluffton, GA, and very few stop signs, we can innovatively offer you lodging in one of the six cabins on our farm for family and friends. For the businesses that are interested in weekend retreats, we have meeting and conference space at our historic refurbished church, or The West Wing Dining Room at our General Store. However, we do encourage you to enjoy your leisure time by attending one of our workshops. We offer a variety of workshops that include, but are not limited to Bee Keeping, Fermenting, Early Season Gardening, Eagle Photography, and Savory Institute and White Oak Pastures Holistic Management Workshop. 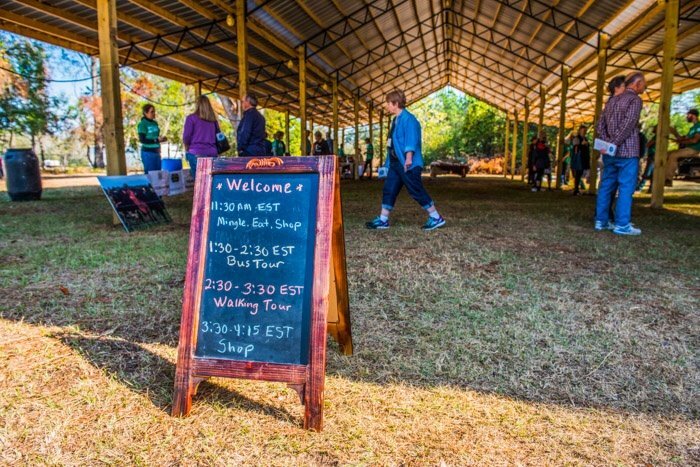 The workshops include lunch at the General Store Food Truck and a trailer tour around the farm. Our dining pavilion is available for private events or meals during our normal business hours. 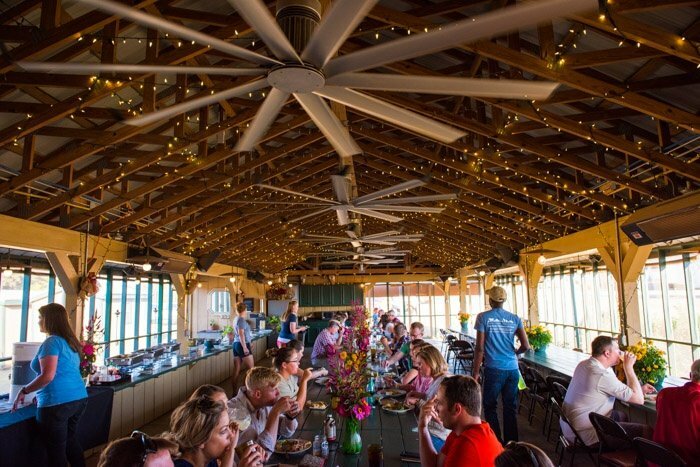 Our dining experience at White Oak Pastures, is and of itself, something to behold. 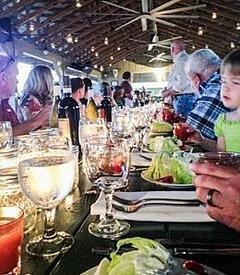 Our open-air dining Pavilion offers “good ole southern cookin’", White Oak Pastures’ style. This means that we cook what we raise on the farm and grow in our organic garden. We also have a Food Truck at our General Store in downtown Bluffton that cooks breakfast and dinner for guests dining in the West Wing Dining Room. 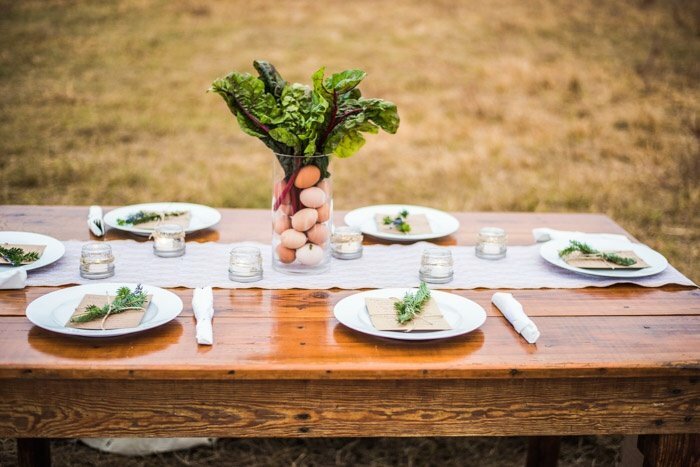 Either dining area is spacious enough for catered events that showcase our farm-fresh meats and vegetables. We’re looking forward to our annual Valentine’s Day Dinner approaching and will have live entertainment! Our food is so unbelievably delicious that a bunch of well-renowned Chefs got together and decided to have their very own Chef’s Collaborative here at White Oak Pastures! We have also had the honor of a chef coming all the way from Spain to cook for us. We have hosted dinner parties, family reunions, wedding showers, baby showers, birthdays, and Christmas Parties. We will decorate our West Wing Dining Room and cater your meals. All you have to do is show up! And although Bluffton is small, Santa Claus is comin’ to this town! He visits our General Store every year during our Open House and each child is given a complimentary photograph sitting in Santa’s lap. If you prefer to be outside on a beautiful evening, we can set you up just like we did for our Atlanta friend’s birthday! 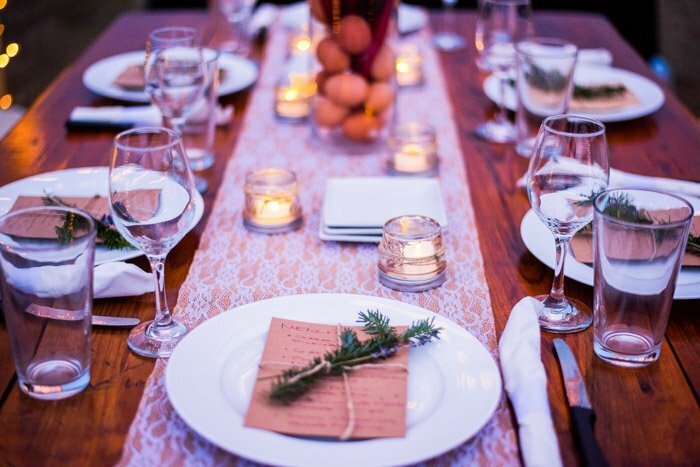 “Dining Under the Stars at Indigo” was not just a meal we prepared with fancy tablecloths, delectable cuisine, and the whole nine yards. It was a wonderful memory made right in the middle of one of our pastures! 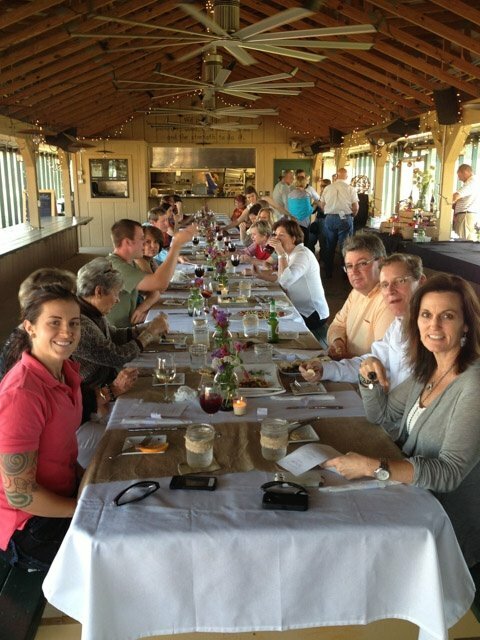 Above is an image of the private dinner in the pasture we hosted for our friends. Schedule yours now! 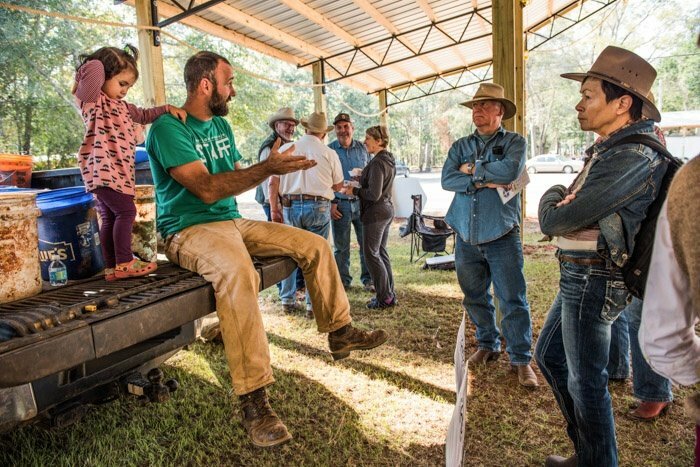 White Oak Pastures is also honored to host the Savory Institute Hub Gathering November, 2018. This gathering, which is a group of leaders from each Savory Hub from all over the world, meets each year to share insights, resources, and to discuss the future of the Savory Global Network. Savory focuses on enhancing the understanding and implementation of Holistic Management. They provide online education, data management, and collaboration. You see, although we are down here in southwest Georgia, we’ve got it goin’ on. We can dish out that southern hospitality like nobody’s business and make you feel like family. We are certain that you will be enchanted by the multitude of entertaining, yet educational adventures available here at White Oak Pastures! Hope to see you soon! 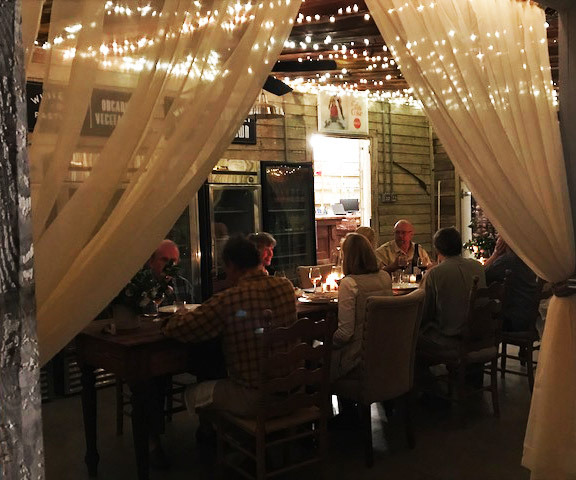 Our renovated 19th century General Store provides a rustic venue for farm to table dinner parties. 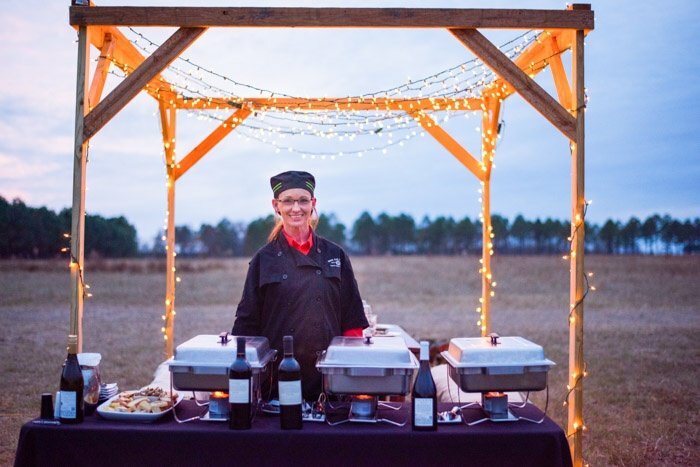 We offer catered dining experiences in our peaceful pastures.